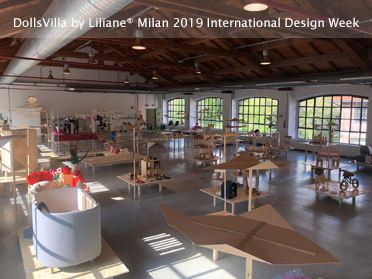 The DollsVilla by Liliane® light will make her introduction in Milan at the International Design Week 2019, the Salone Internazionale del Mobile. 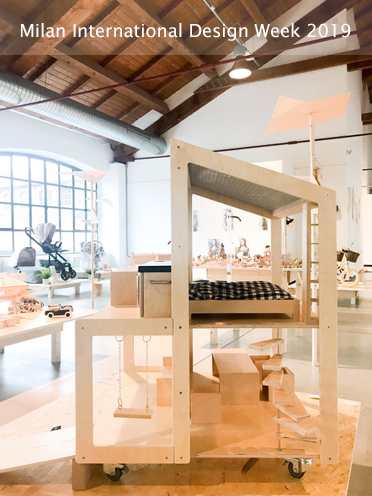 Like every unduetrestella DESIGN WEEK edition, Liliane Limpens, the designer of DollsVilla by Liliane (NL), who creates two innovative models of a dollshouse on wheels, made of sustainable materials, full of every comfort, even the car ramp, like real toy furniture full of accessories. 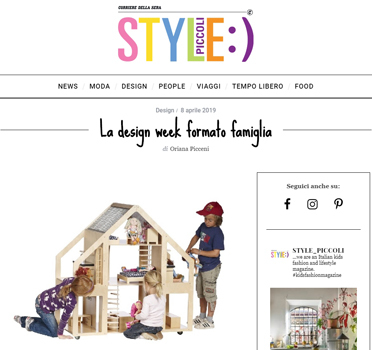 On the occasion of the 500th anniversary of Leonardo da Vinci the theme of 2019 will be Leonardo the designer, even for the little ones: no one before him had demonstrated an imagination so close to the mind of a true contemporary designer, and very similar to the creative desires of a child. To remember the childish components of his vision. Art, design, creativity and beauty are the keywords for unduetrestella DESIGN WEEK’s format who, since 2009, has strived to create and show the most creative solutions to live and grow with kids, cooperating with brands, companies, designers, artists and creative people - Italian and International - involved in the children’s universe. 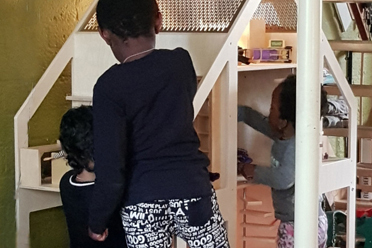 At nine locations* in Dordrecht and Oud-Beijerland, the DollsVilla by Liliane® does its utmost every day to support a very important priority of SDK Childcare: contributing to the children's enjoyment! Well, that actually goes without saying with the villa, just being in their neighborhood... New fairy tales and new friendships arise, nasty experiences are lived through and new miracles happen, future dreams take shape in images and language. SDK: "We want to thrive, sparkle, be really good at what we do! Child growth requires strong roots of safety and stability. Every child naturally has the urge to develop in a playful way and therefore we offer them a promising play environment." * Childcare centre Toermalijn | extracurricular childcare De Klimboom | childcare centre Kraaiennest | childcentre Groenland | childcare centre and afterschool care Sam Sam | childcare centre De Poolberen | childcentre Dubbeldam | childcare centre Mulo Burgt | extracurricular childcare location Vest. 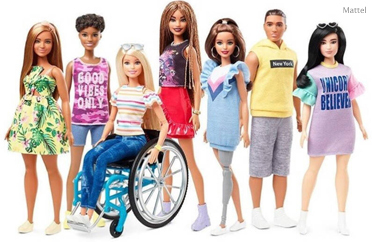 "This week I had a teenage girl of 13 who was playing intensely with the DollsVilla by Liliane®, her mother said she had never played with dolls." "My heart beats faster by the DollsVilla by Liliane®, which is great for our three-year-old foster daughter, who can put so much imagination into this, which helps her development unwise." "Like every foster child, there is also a whole world for her that does not exist in the life of children who grow up in a standard family. 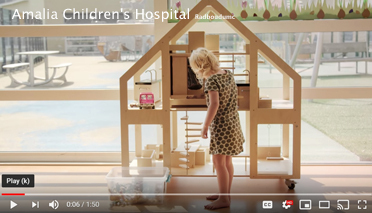 With such a beautiful dollhouse she gets more space to bring all her family members (biological family and foster home) of her life together in one setting." 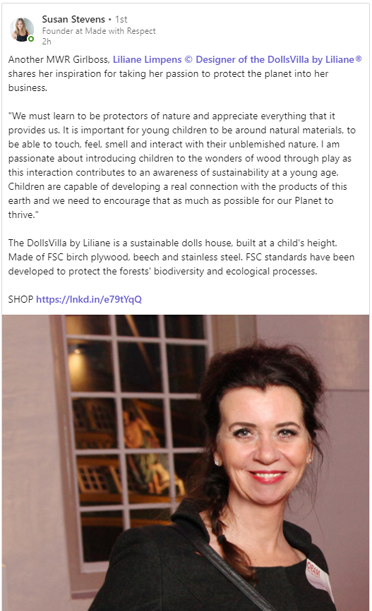 "We are very happy with the DollsVilla! Only challenge is to get the children in bed today, because they will not be played out, haha." Foster care parent | teacher Anita Peeters Vlemmix Asten. Excellent photographie Anita Peeters Vlemmix. "Our Language Class has been extended with a DollsVilla by Liliane® since September 2018. What an asset it is! Both young and old can be amused by the different possibilities of the PoppenVilla." "There are children who have not yet had any education in their native country, and this often causes them to have a hard time acquiring the new language. It requires a lot of creativity from the teacher and the children to make them part of the group, so they can actively participate in the classroom. 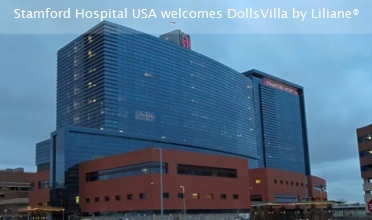 The DollsVilla is a great invention to involve everyone in the process." 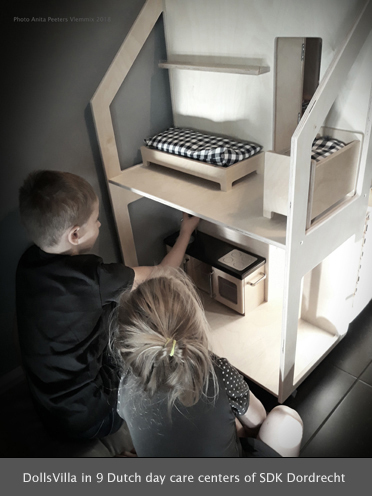 "The language grows tremendously throughout the DollsVilla by Liliane®, children play with both dolls and cars, so that they tell each other what they are doing. For example, the themes such as the home, interior and exterior and family are greatly expanded by the DollsVilla. Through the touch and the experience children learn what happens in the Netherlands. Unfortunately, many children in our language class miss the Dutch language at home because parents can not speak it. 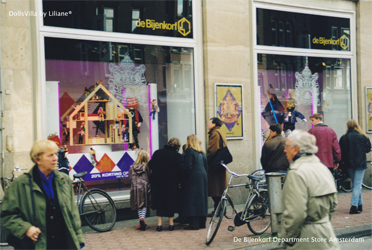 Because of the DollsVilla and the play that is being organized, they also learn to talk with the dolls in Dutch at home." "You can notice that the DollsVilla has been well thought out, everything at the villa is solidly built and playable for the children. And there is also the option for the children to remodel the house as they would like. 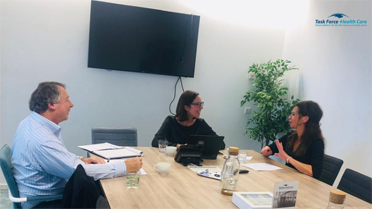 A very nice goal of Liliane who in this way beautifully commited to the language of refugee children in the Netherlands." 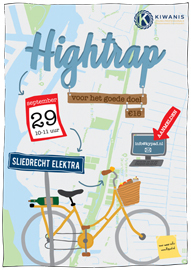 The proceeds of the High Trap bicycle tour by Kiwanis Young Professionals Alblasserwaard Drechtsteden [KYPAD] is spent on the purchase of DollsVilla by Liliane® for the Sliedrechtse Family House De Veilige Haven. Motto of KYPAD: Serving the Children of the World: Fun, Friendship and Fundraising. "The family house is a family house for children between 8 and 15 years old, who can not live at home for various reasons. Family parent Wendy Oward offers these children a stable basis for optimal development and for processing the traumas of the past. In the shelter, normal life is emphasized as much as possible. There is a permanent professional educator instead of a changing group management, in order to guarantee the safety and continuity for the children. The upbringing is tailored to the needs of each individual child in relation to the diversity of problems." By Elise de Haas-Kornet. 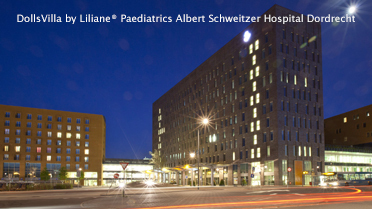 "The DollsVilla by Liliane® is absolutely of added value for out-of-home children in a family home. It contributes to the processing of traumatic experiences, because interplay with the DollsVilla keeps the direct confrontation at a distance. By applying the newly learned skills in the family home it helps to solve conflicts and to promote contact with peers. In addition, it enriches their play by stimulating imagination and creativity. 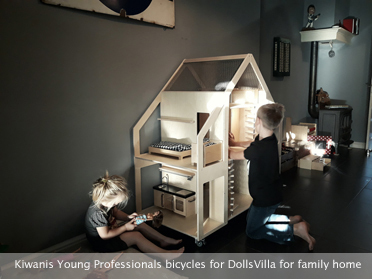 The DollsVilla also contributes to a warmer living atmosphere and stimulates a sense of self-worth among the children." By Suzanne Heikoop, photographer. Thank you young & kind professionals! Roeland van Engen | entrepreneur Combigoods, Fritella et al.